By credit card: We will have your credit card number on file. 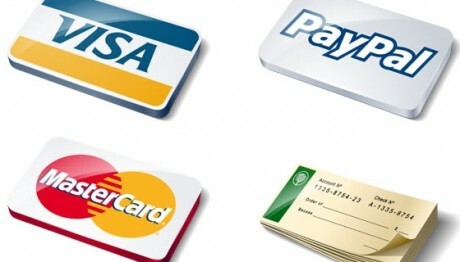 Your credit card may be charged to a Pay Pal account, depending on the nature of the transaction. Verbal or Written Confirmation will be required before charging your credit card and issuing your travel documents. Please advise which one you prefer. Canceled Flight. If by any chance your flight needs to be canceled, please advise ASAP. We will keep your unused documents on file to be used on your next trip. Usually, airlines allow up to a year from the date of issue to use your totally or partially unused ticket. Monday to Saturday from:9:30 AM to 7 PM eastern time. 9:30 AM to 7 PM eastern time. In emergencies after hours of operation, We can be reached at (786) 286-9100 by phone or text, and via e-mail with additional details regarding your situation.